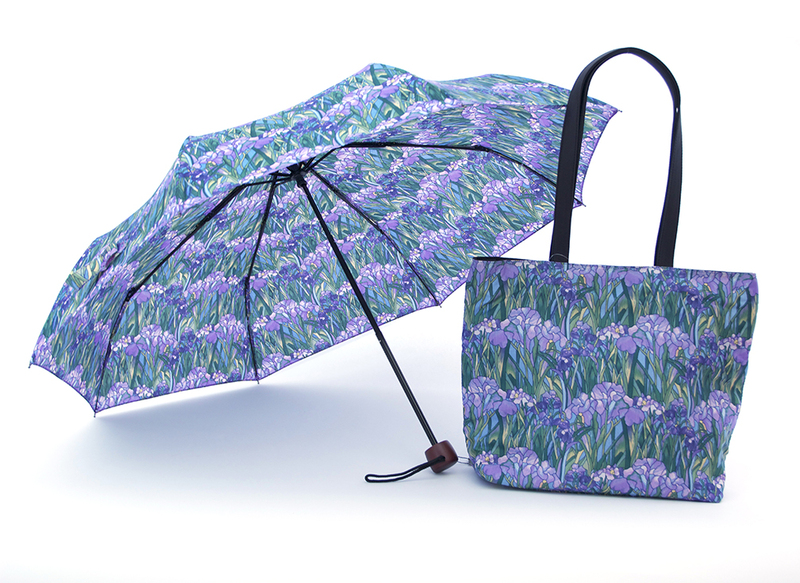 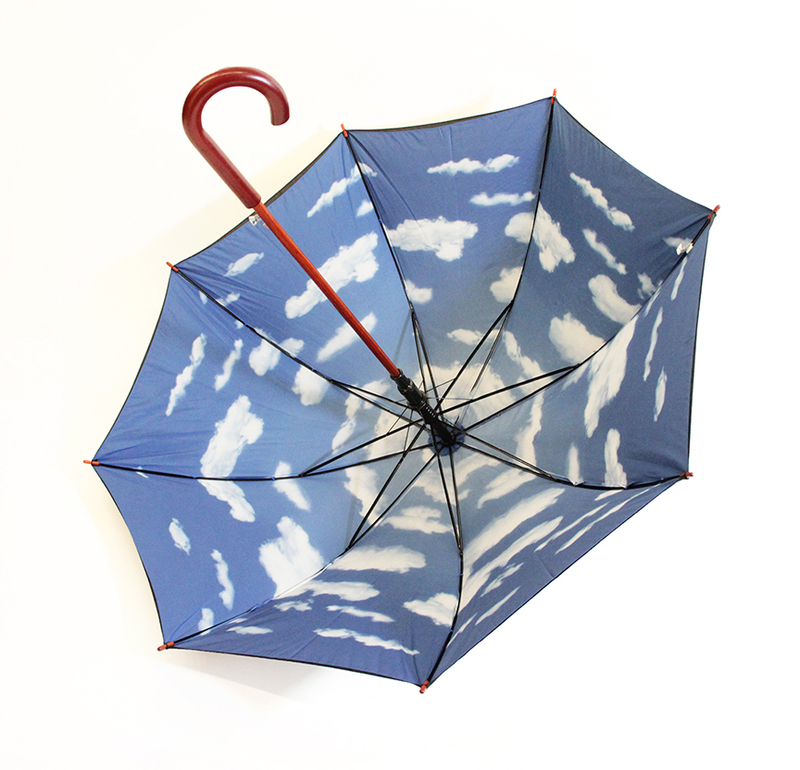 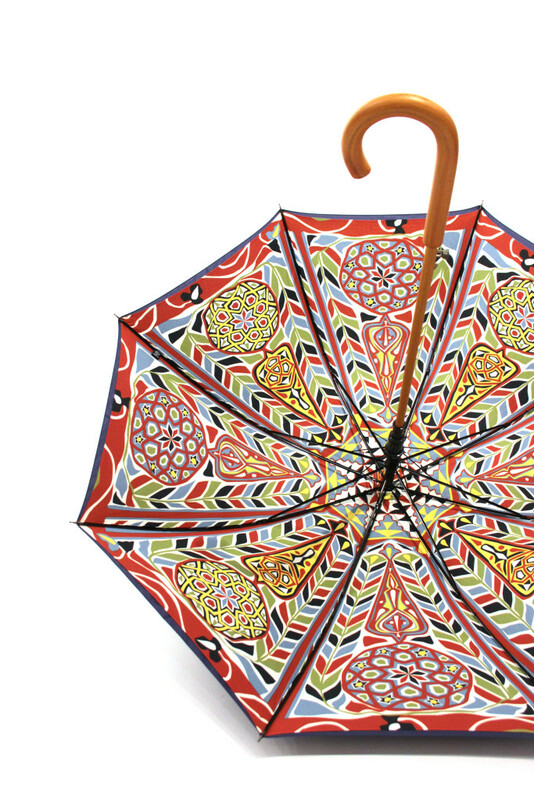 Gouda has been crafting beautiful custom umbrellas for over twenty years. 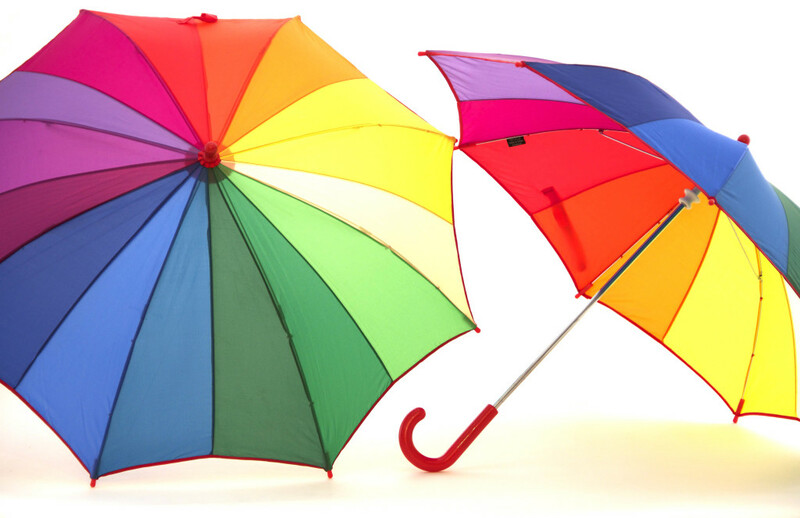 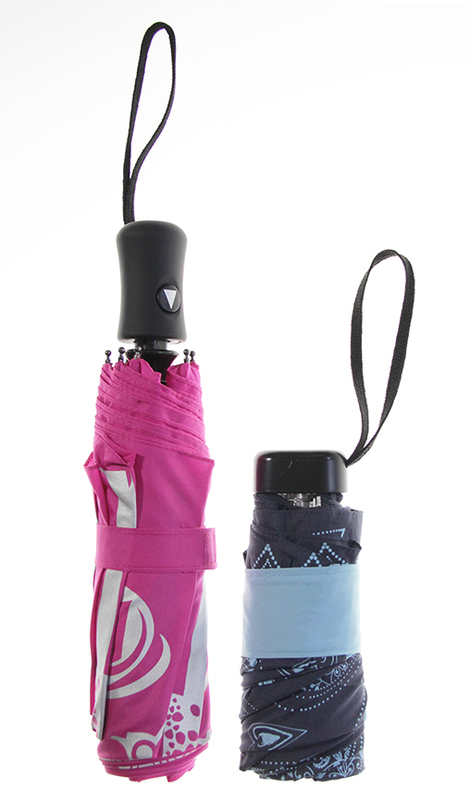 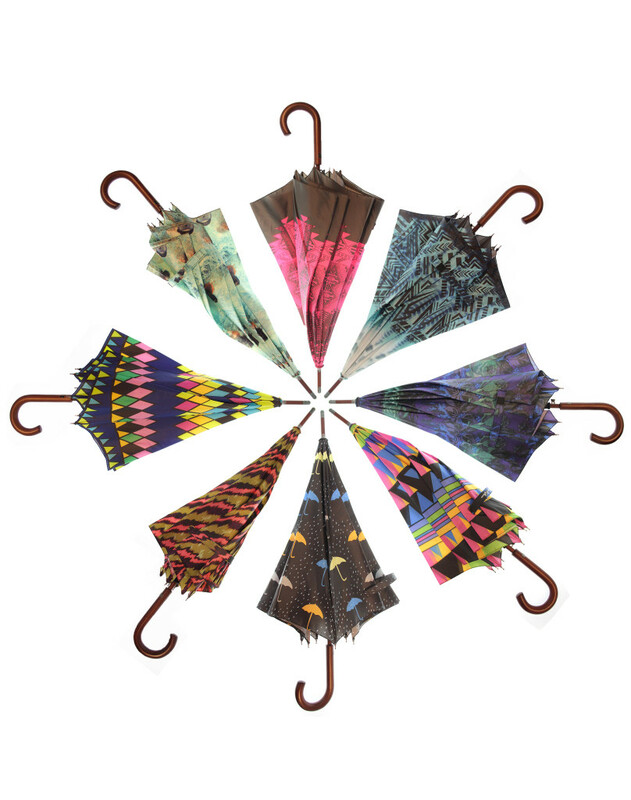 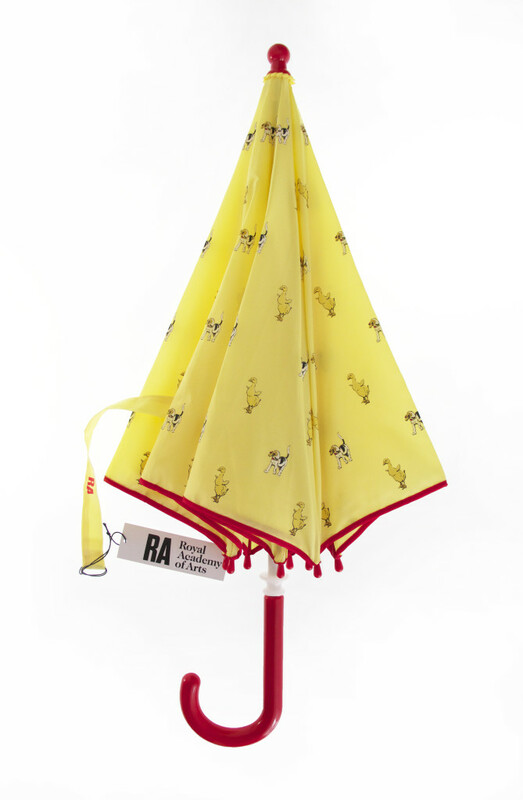 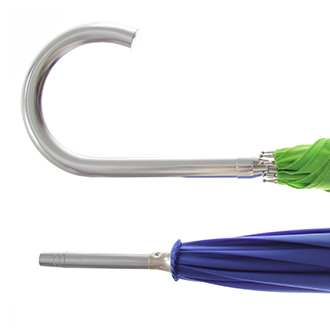 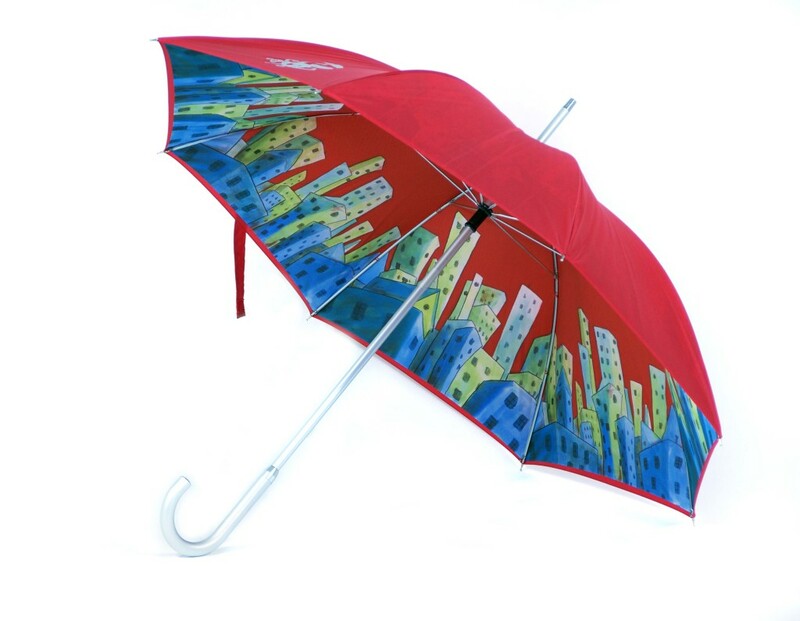 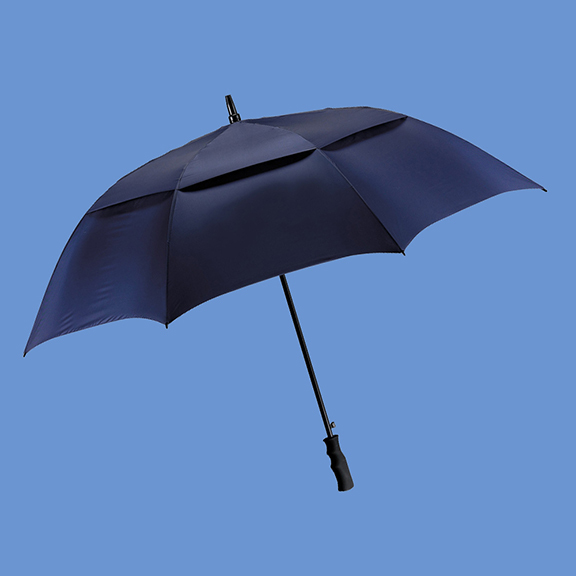 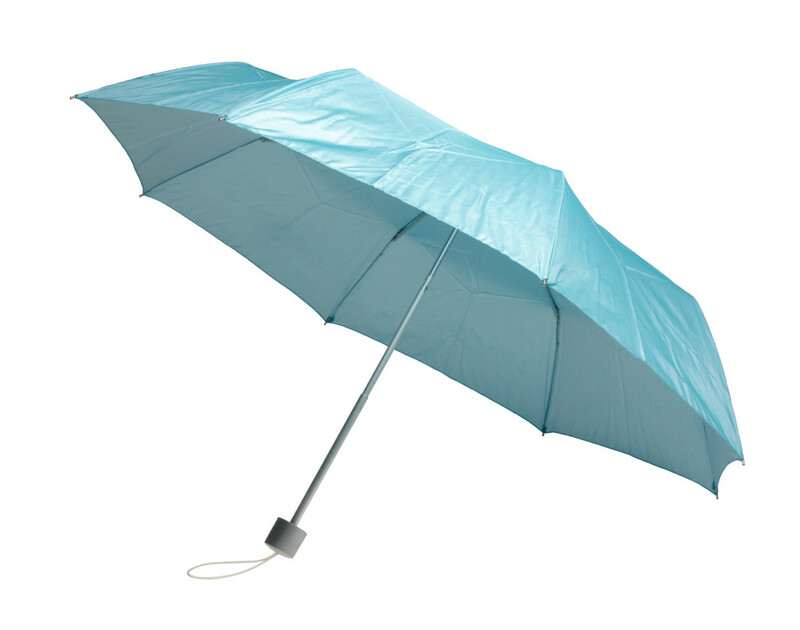 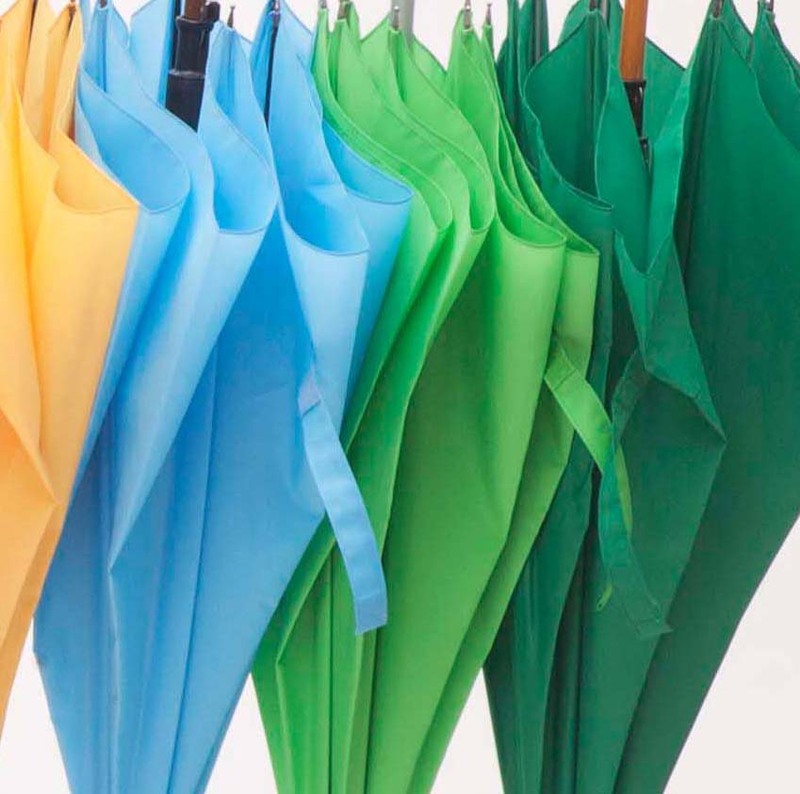 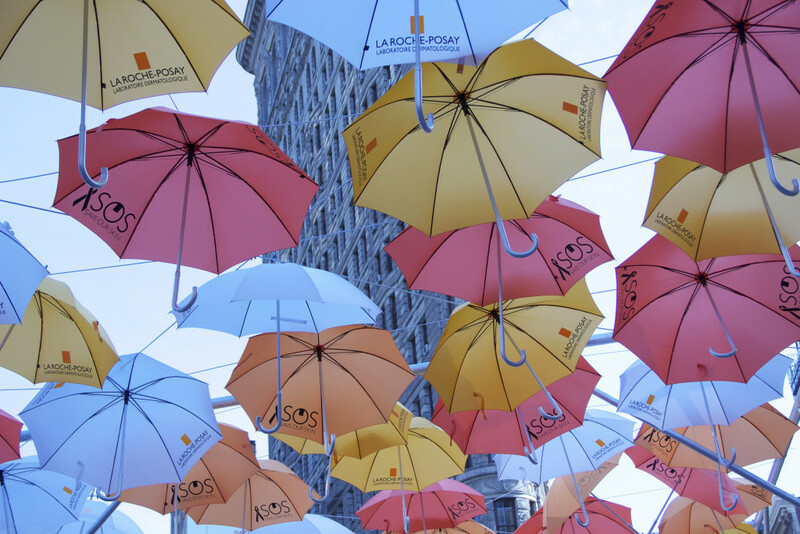 We are experts at everything from compact mini umbrella sizes to oversize golf umbrellas. 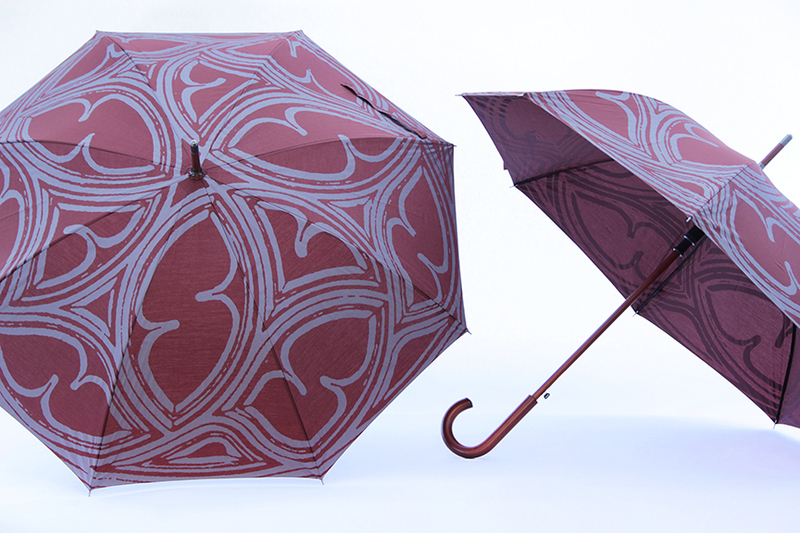 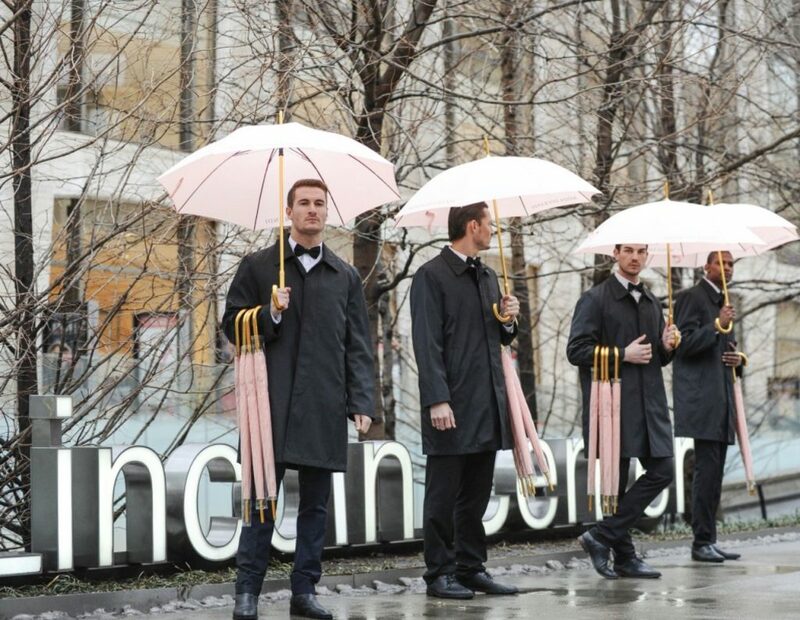 Though umbrellas are a part of our everyday lives, it may not be obvious how they are made. 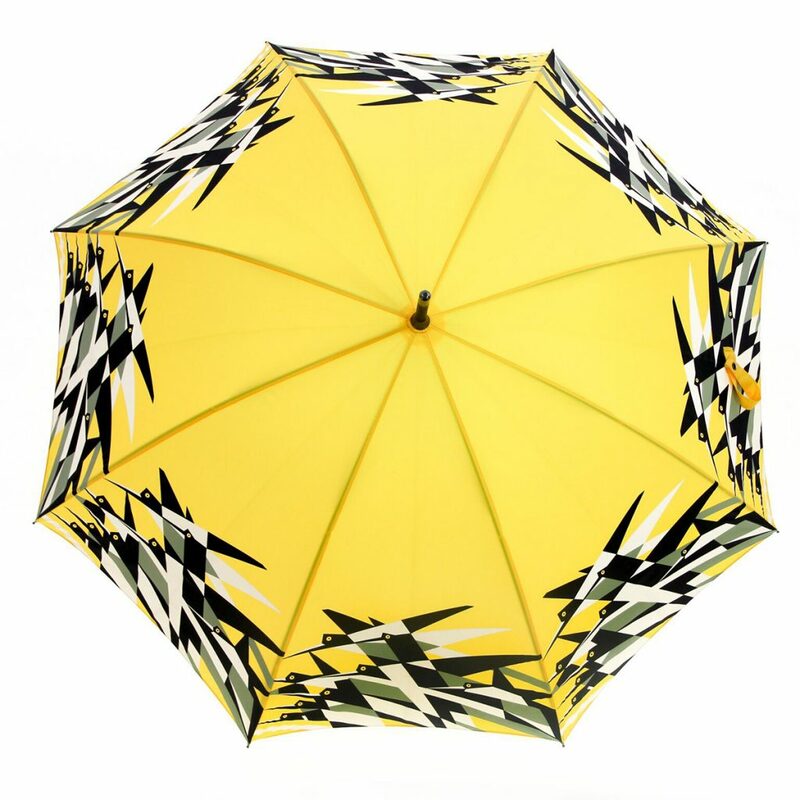 This tour will provide you with a better understanding of the process and the options available when creating a custom umbrella with Gouda. 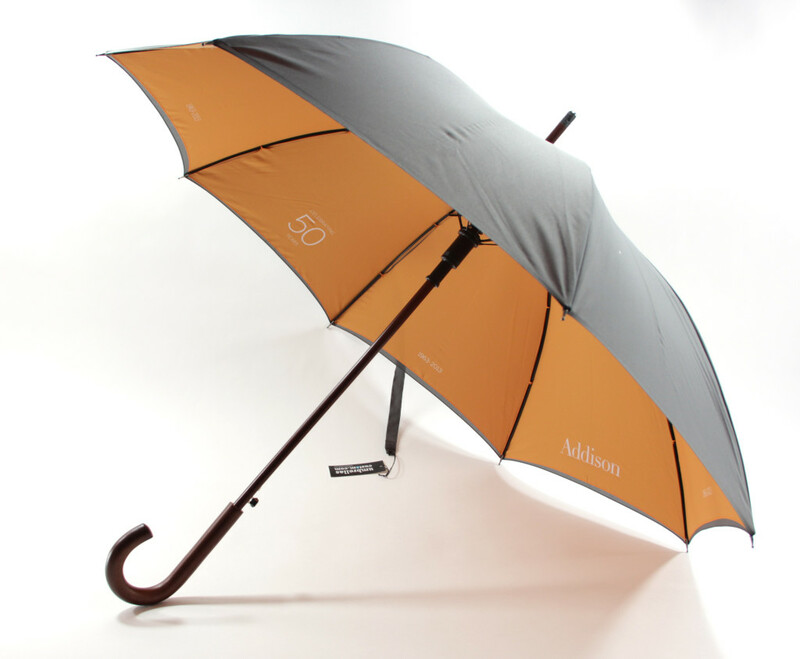 In order to create a truly custom umbrella, you need to start at the beginning. 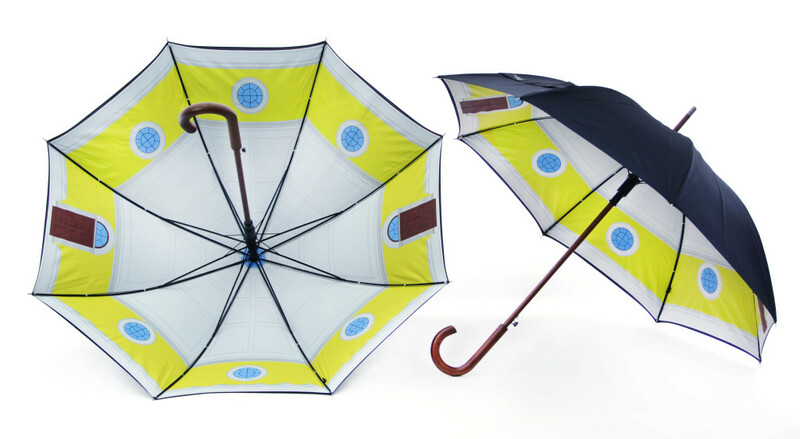 Gouda offers two categories of custom umbrellas: Custom logo prints on existing styles that are in stock vs. fully custom options. 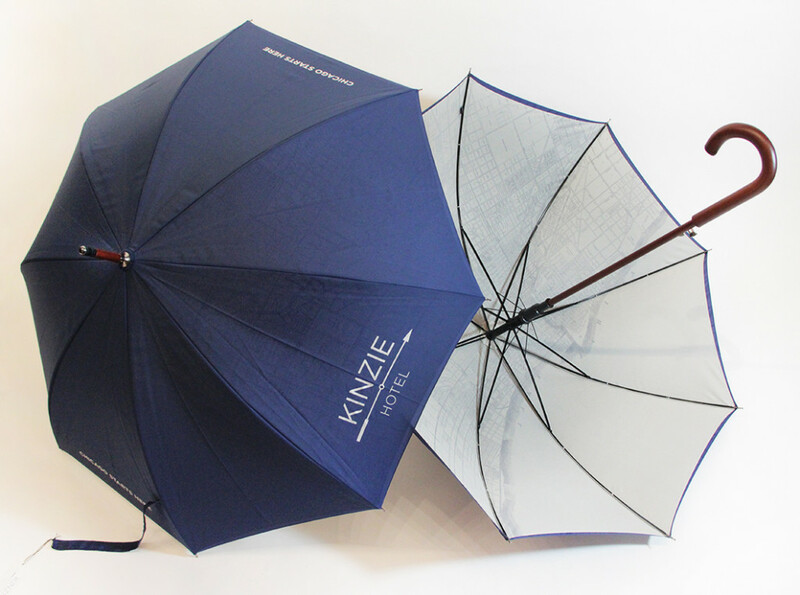 Before you determine your custom umbrella needs, it is important to understand the basic difference between stock and fully custom umbrellas. 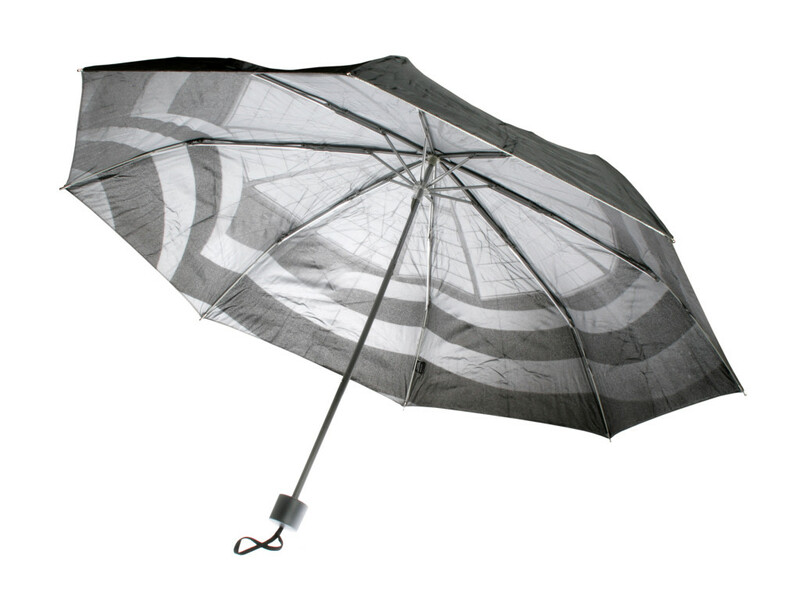 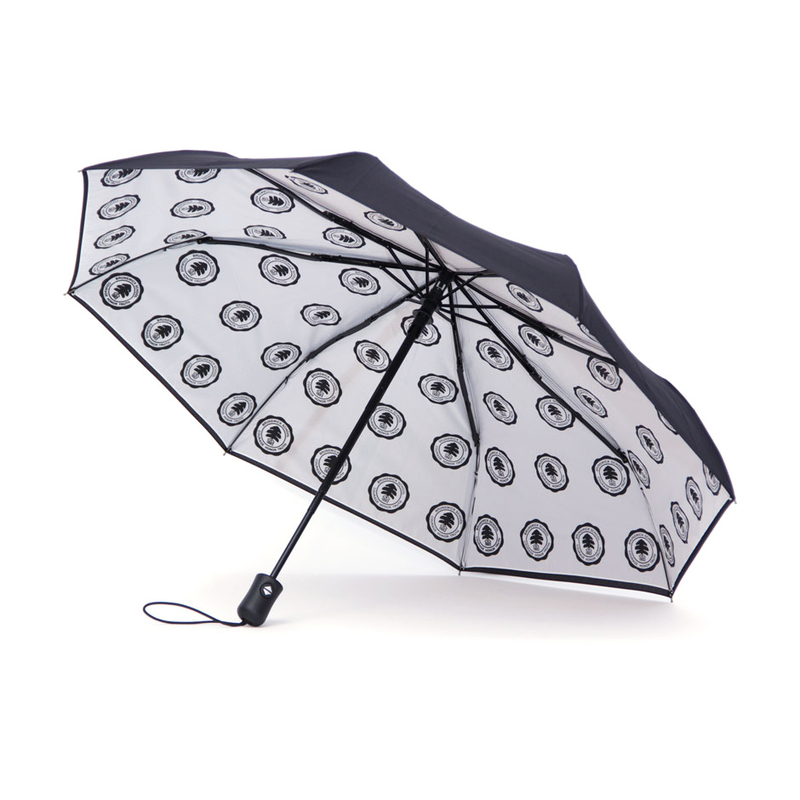 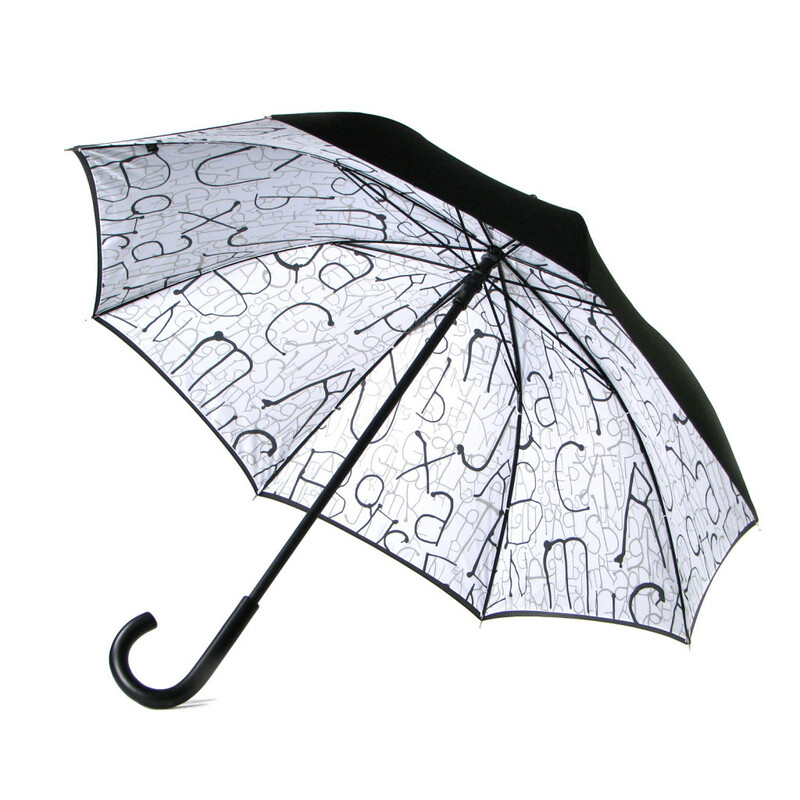 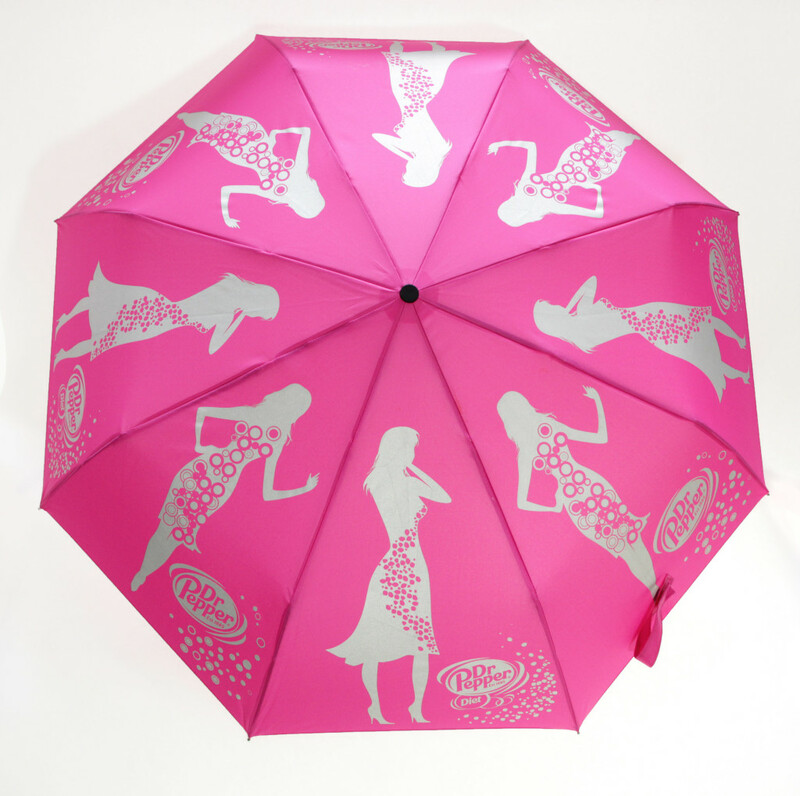 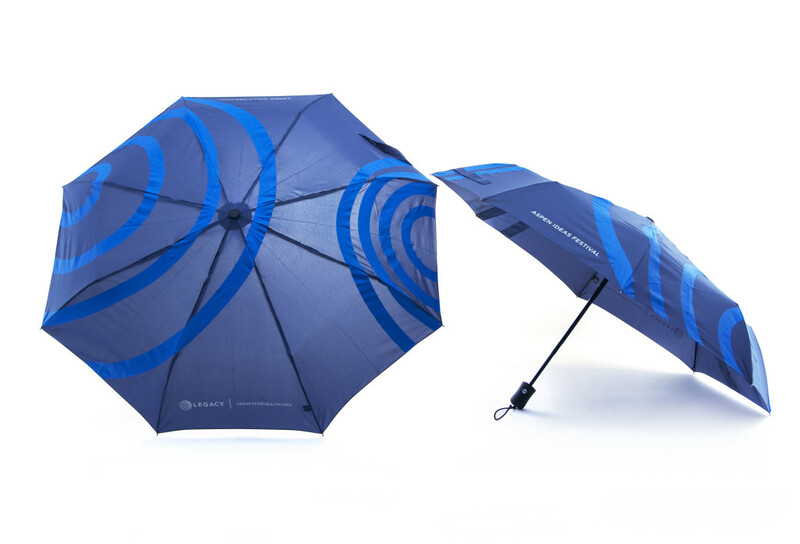 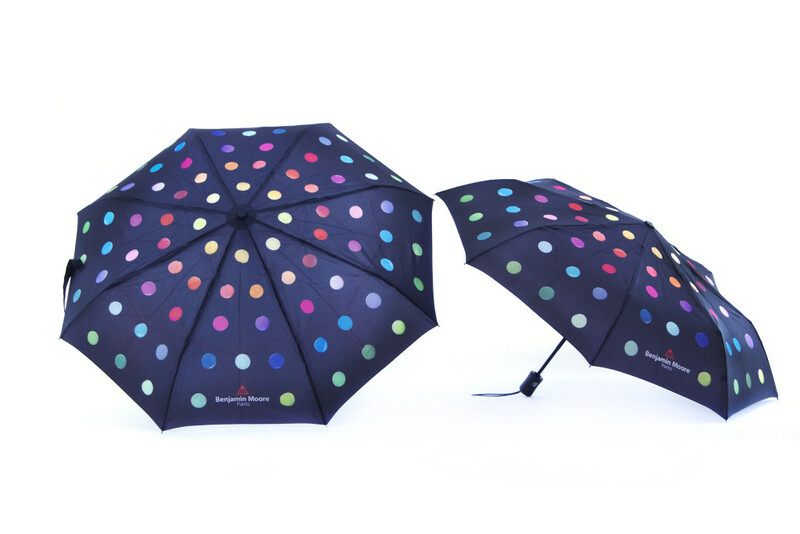 Umbrellas with a logo imprint mainly fall into the category of our stock umbrellas. 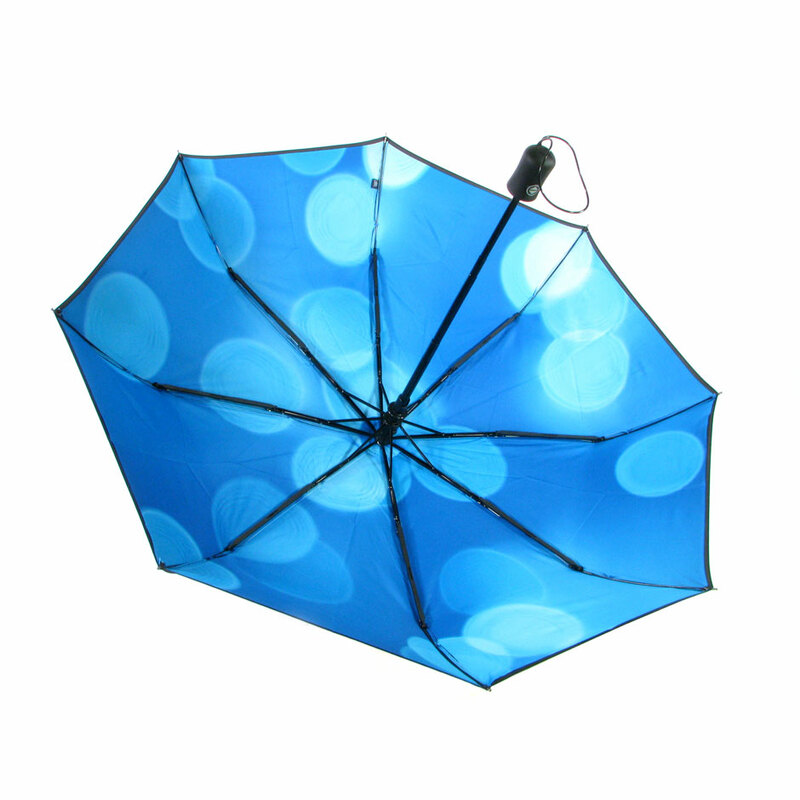 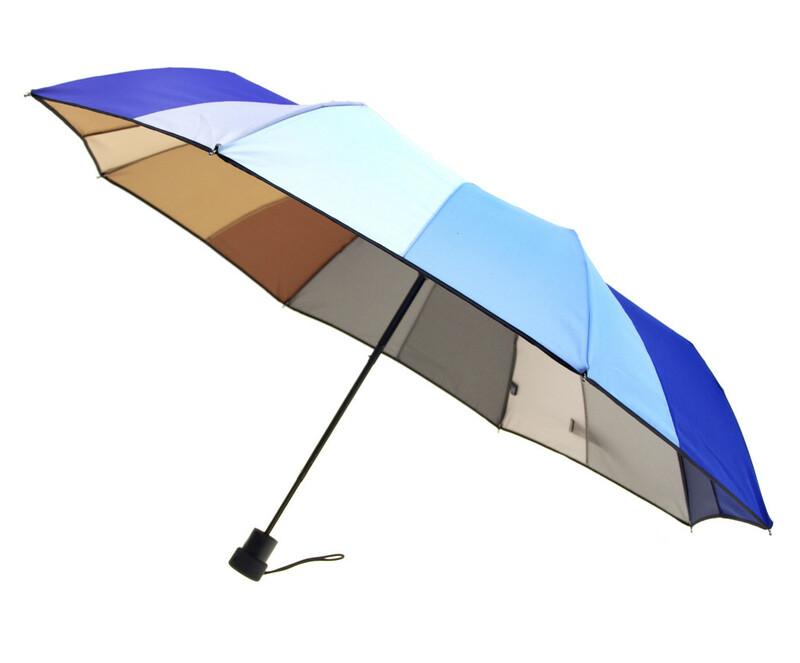 Stock umbrellas come in a number of styles and sizes and start out fully assembled. 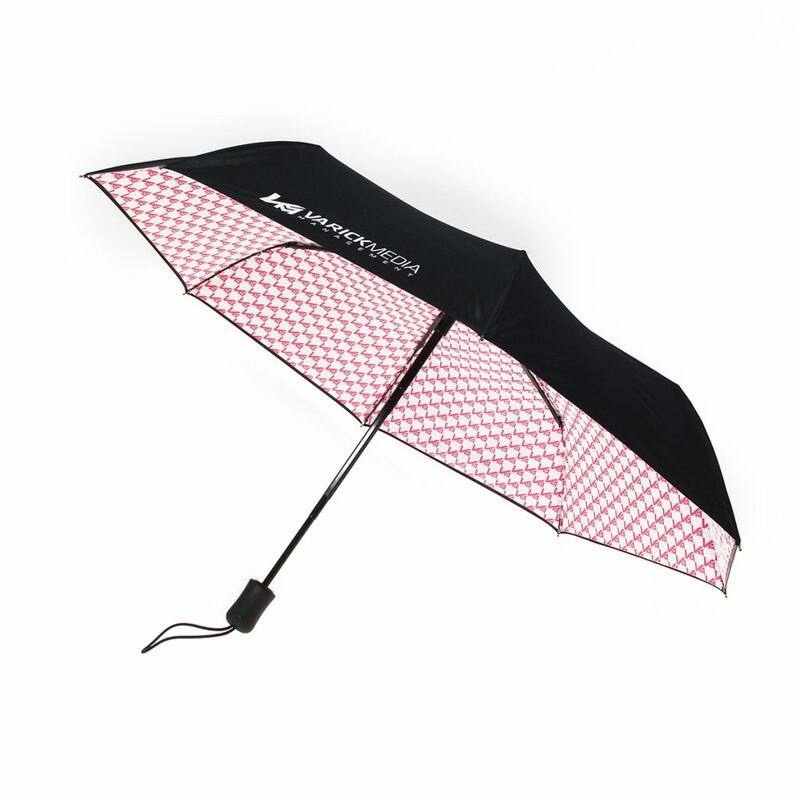 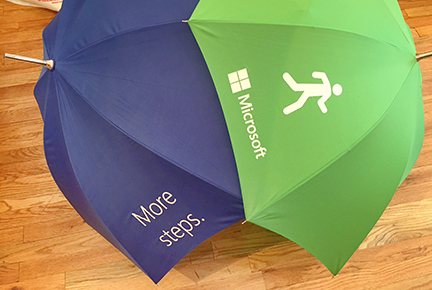 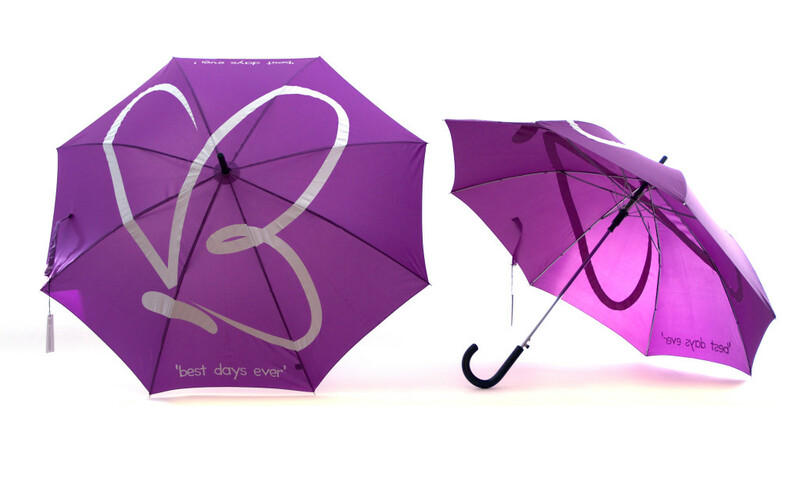 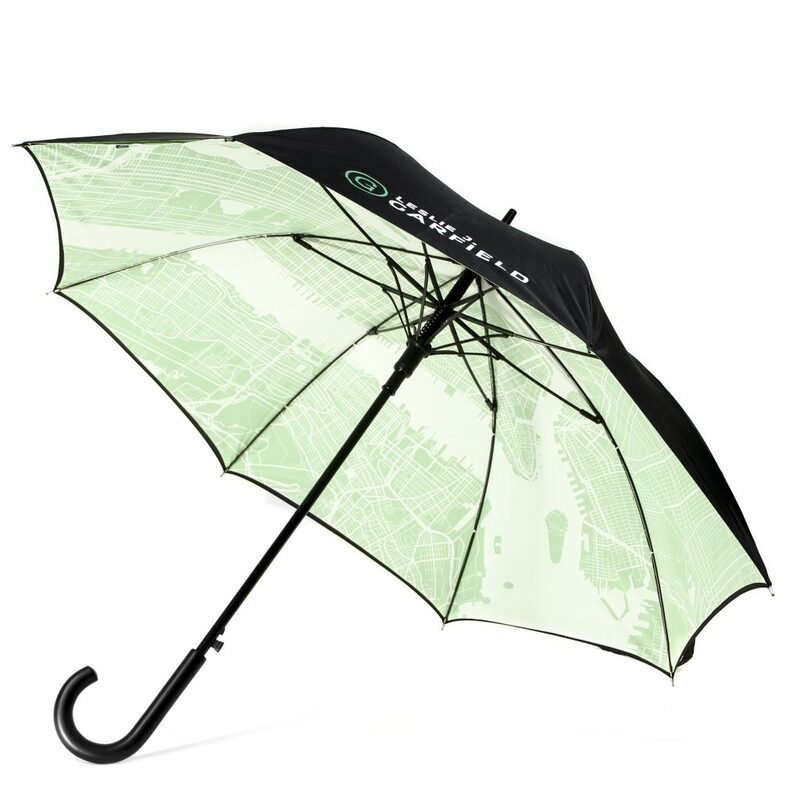 Since they are printed in the US, we can print and ship a logo stock umbrella within ten days for a fast turnaround. 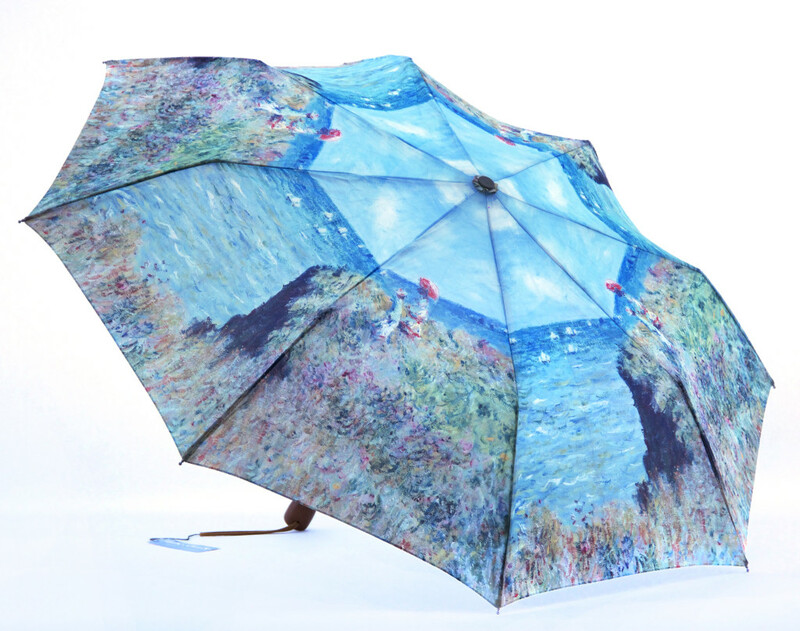 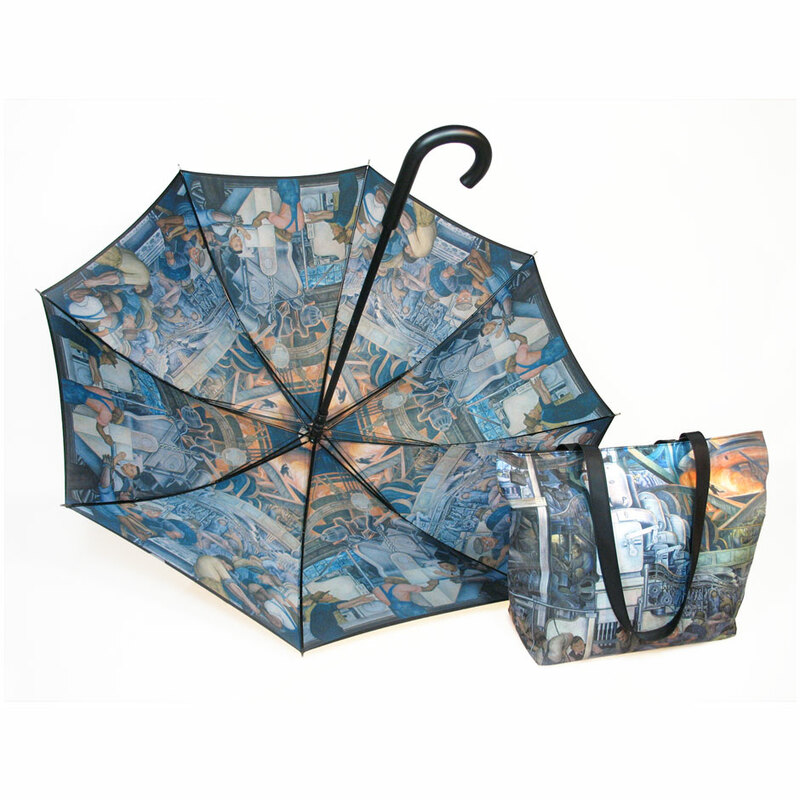 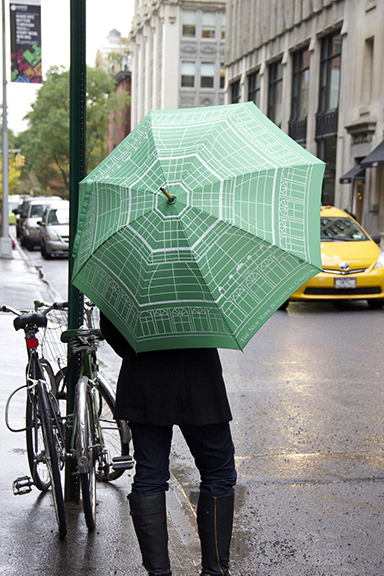 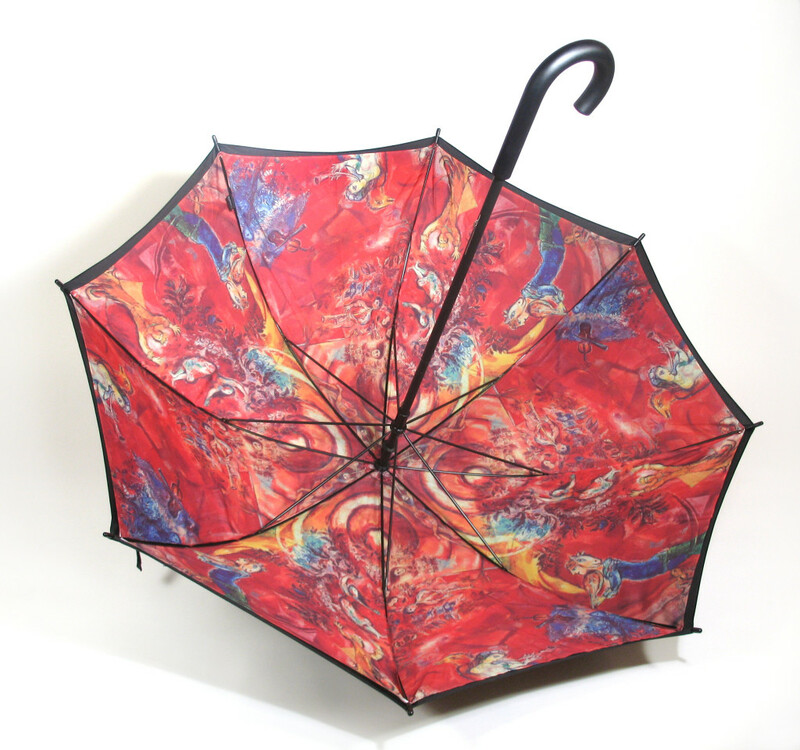 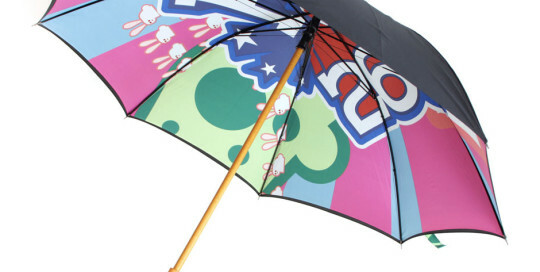 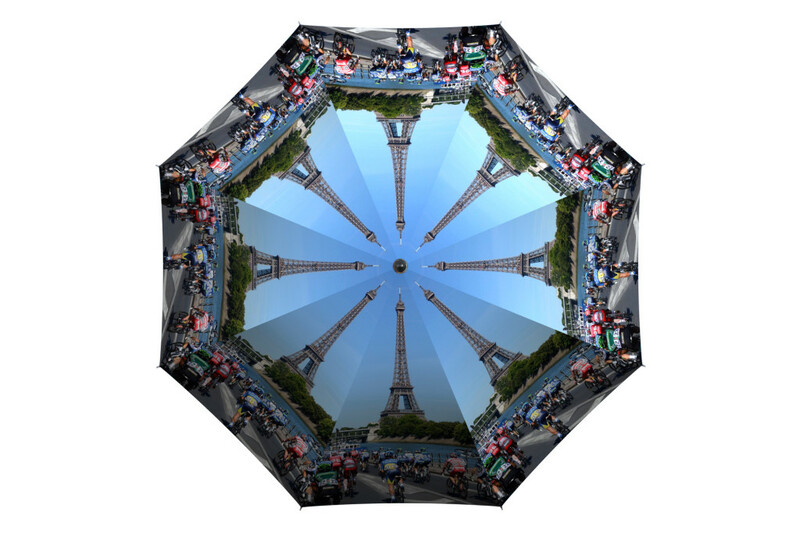 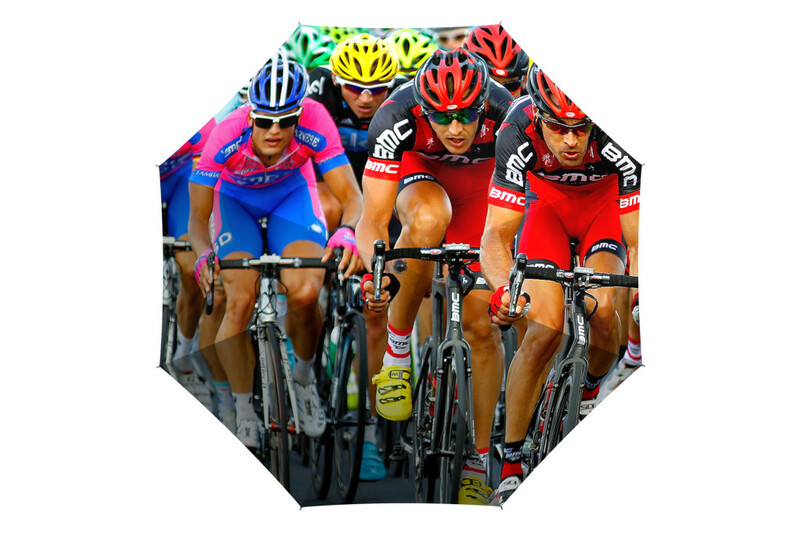 Of course, there are limitations printing an image on an already finished umbrella. 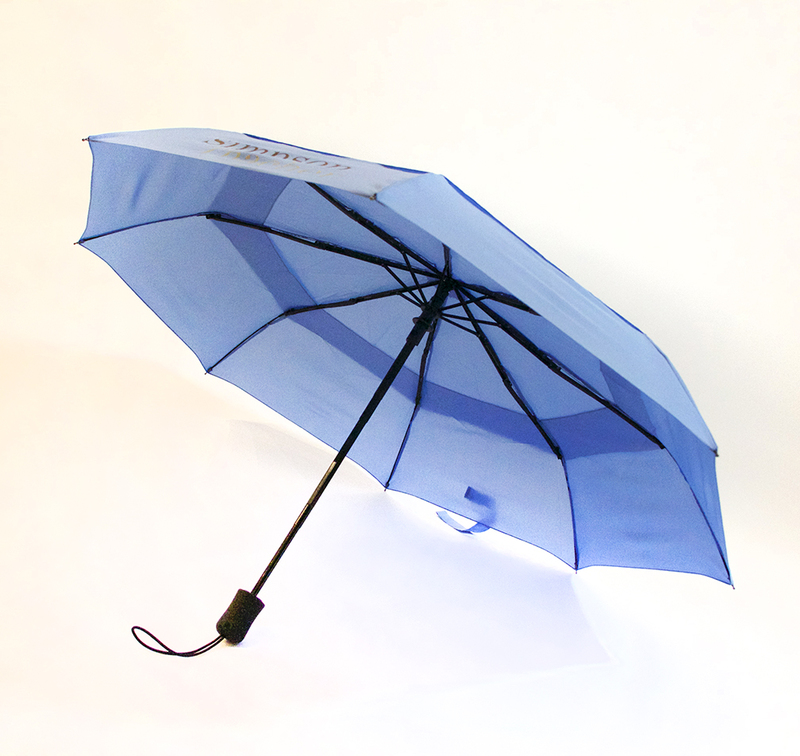 On a stock umbrella, we print in the center of the umbrella panel towards the bottom of the panel. 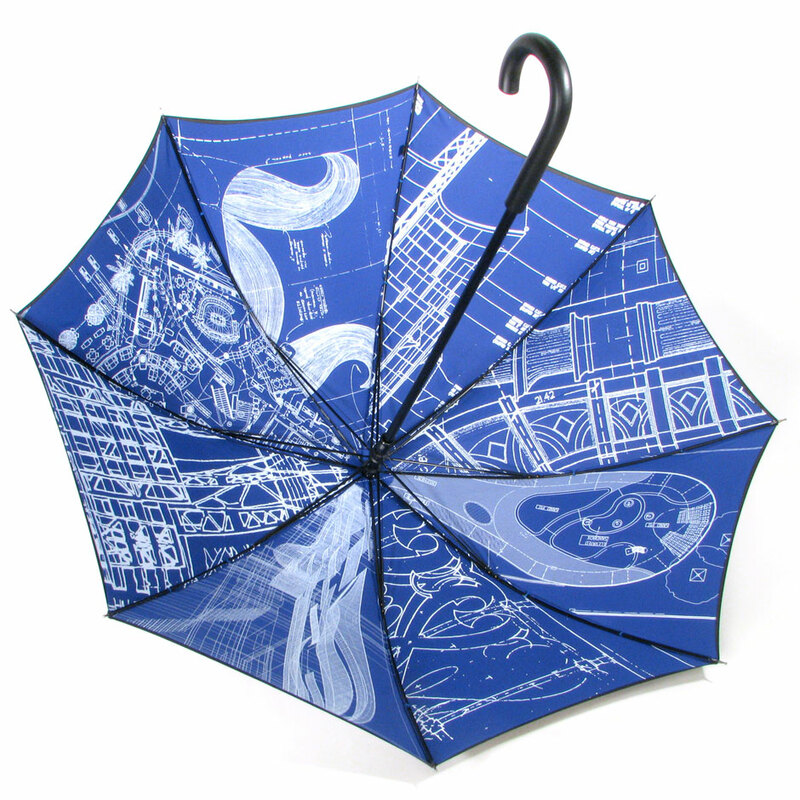 On a finished umbrella, that area of the panel is flat enough to place on the printing press. 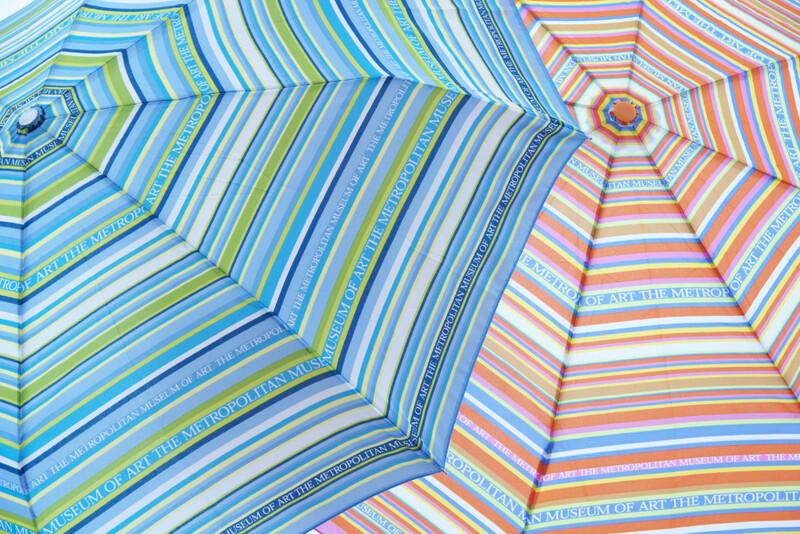 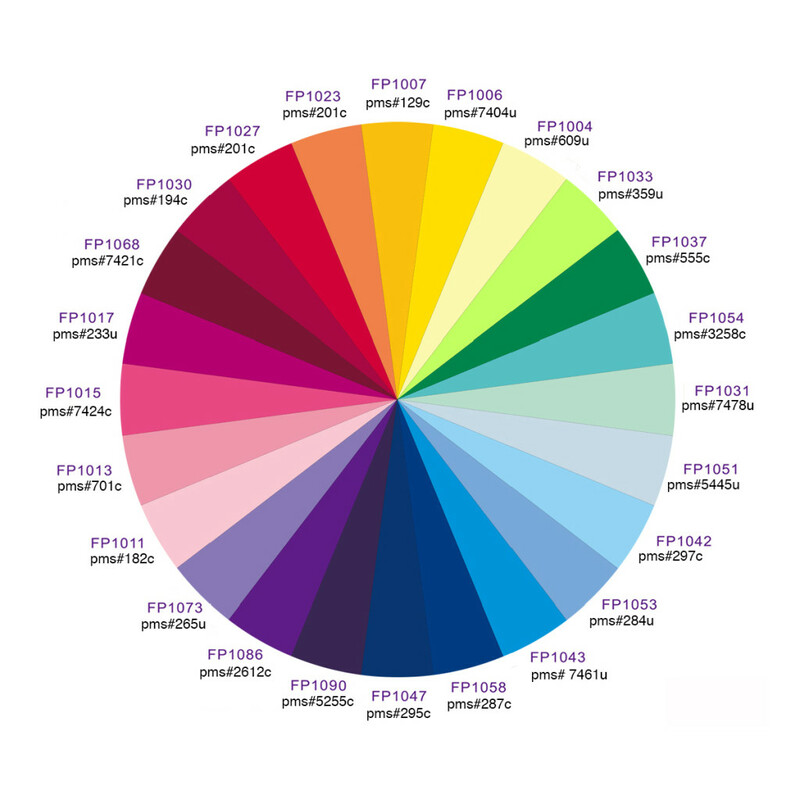 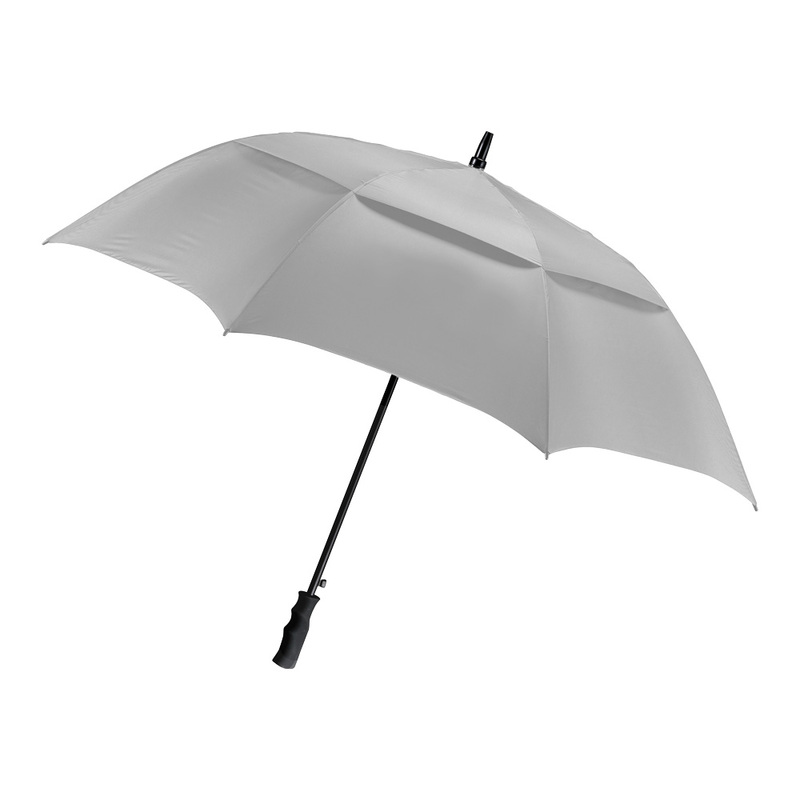 Unfortunately, it is not possible to print across the seams or in the center of the overall umbrella on a stock umbrella. 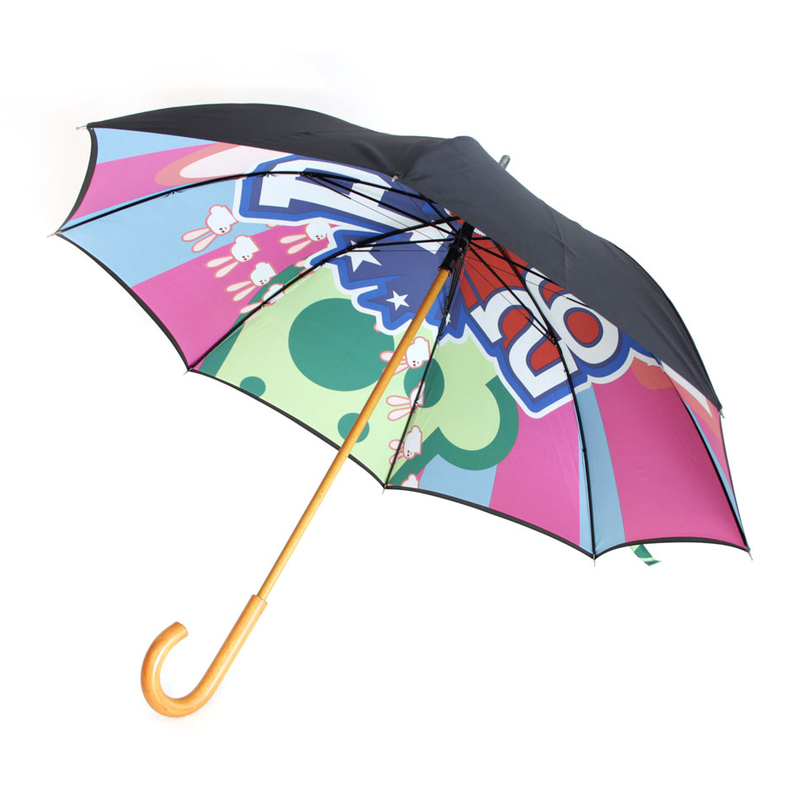 However, in cases where you need a larger image, need to print across the seams, need full coverage printing, or need a special technique, fully custom umbrella options are available. 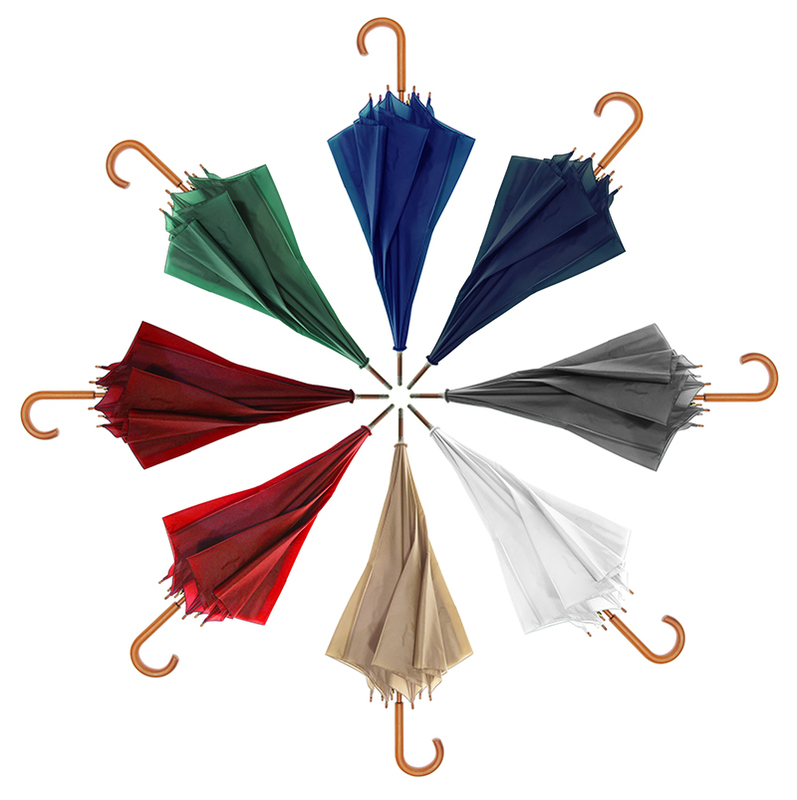 Chances are, if you can dream it, we can manufacture it because we tailor all aspects of your custom umbrellas from the handle, to the color of the wood, to the color and material of the fabric to meet your needs. 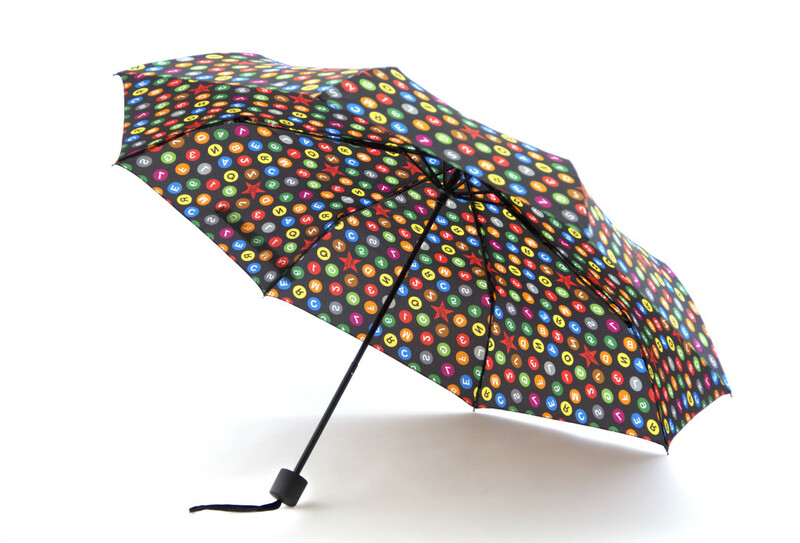 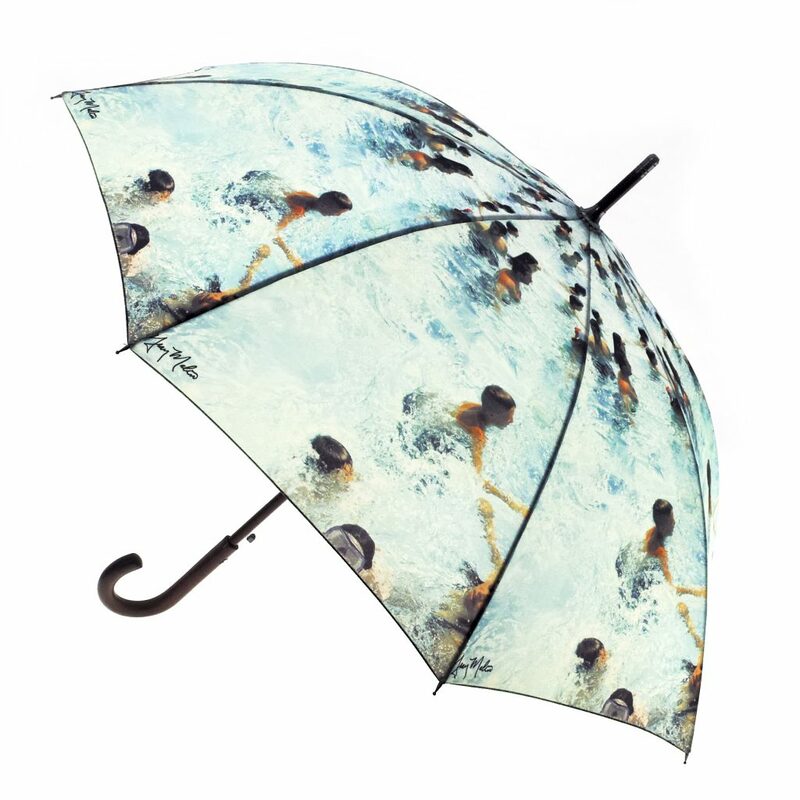 When we print a photograph on your umbrella or an allover printed pattern, we will design and engineer your custom umbrella to get the maximum effect for your dollar. 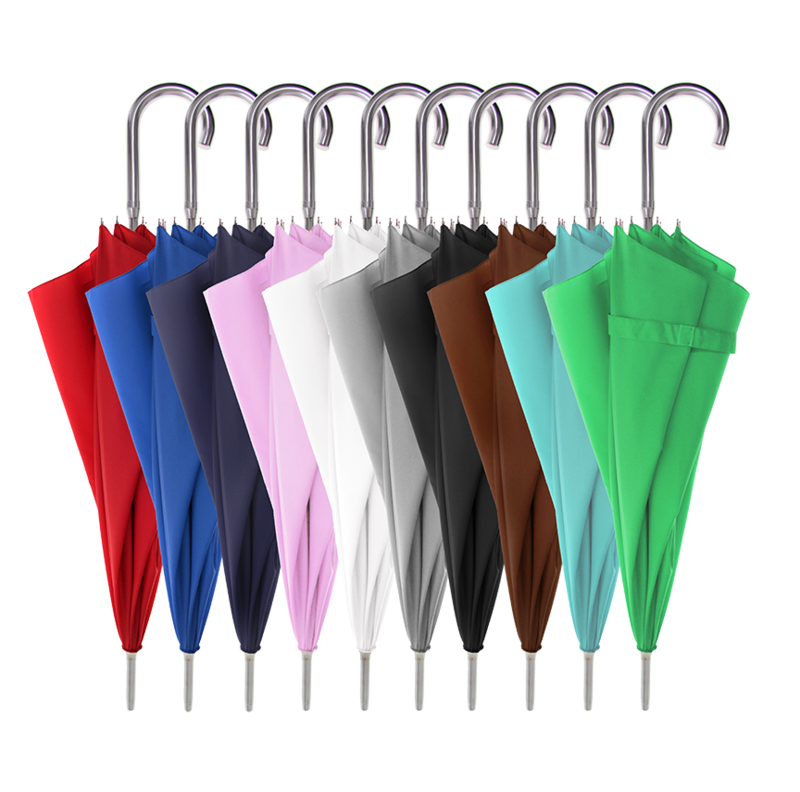 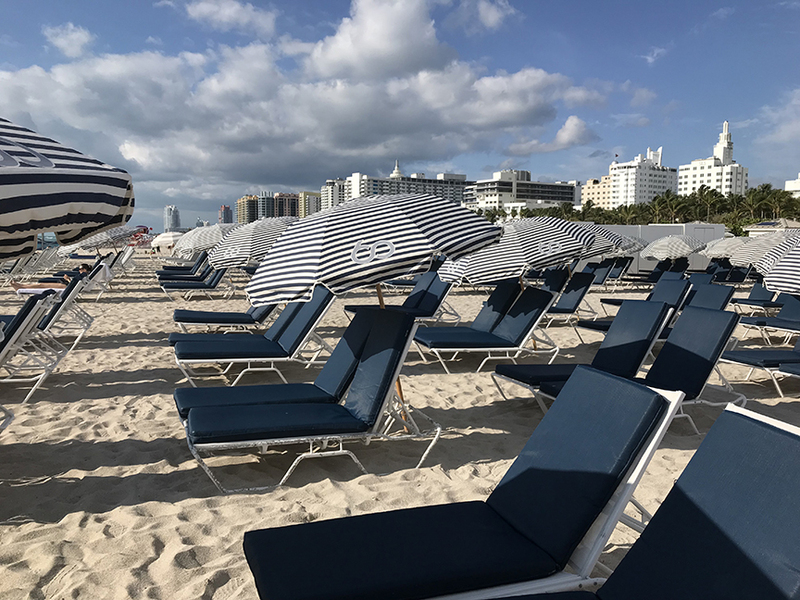 Our umbrellas are famous for their style and details, including double layer options, special coatings, and custom woven fabrics. 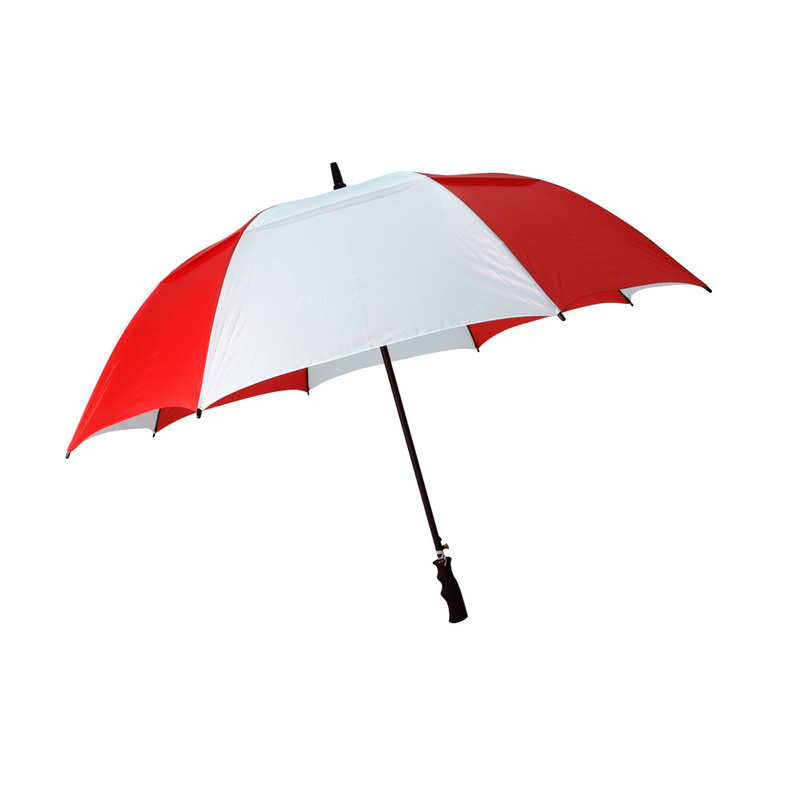 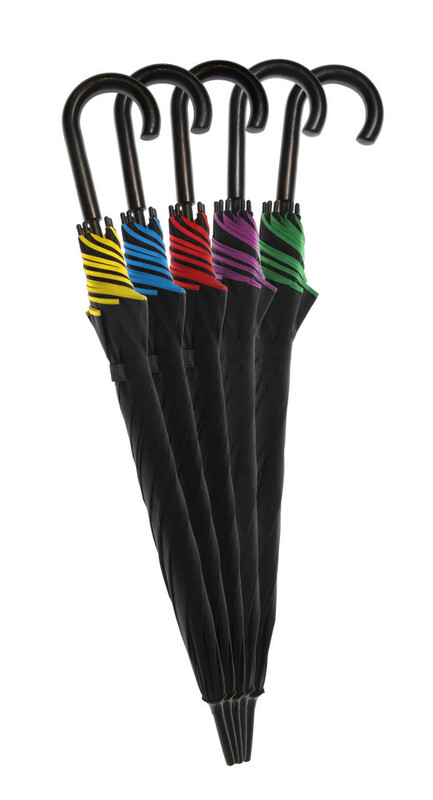 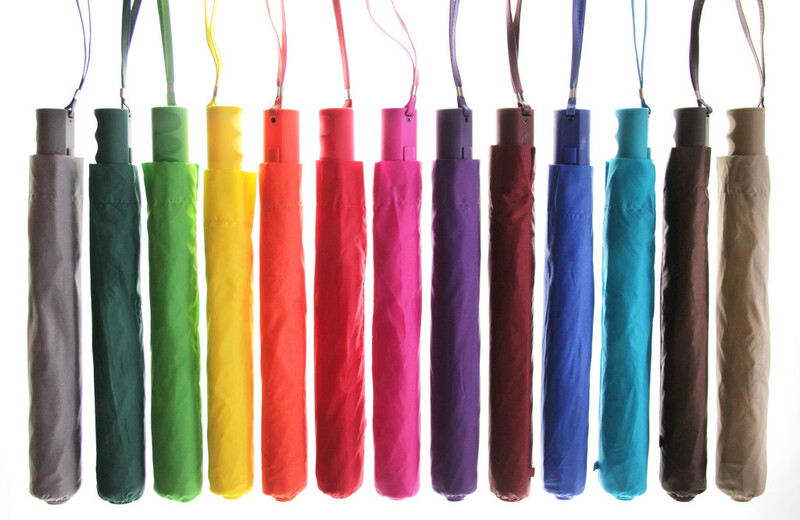 We also offer custom umbrella handle options, which include traditional hook handles in wood, plastic, and acrylic. 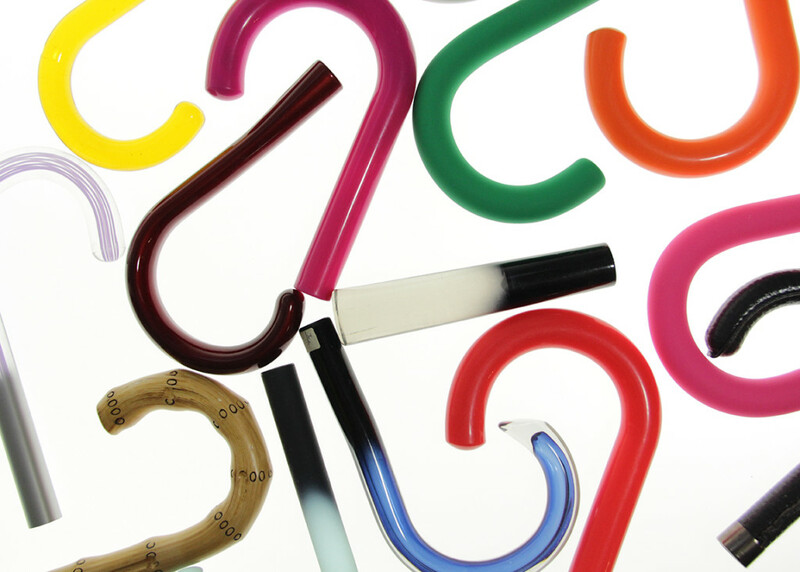 If you want to make a custom shape or include a logo, custom molded handles are a great solution. 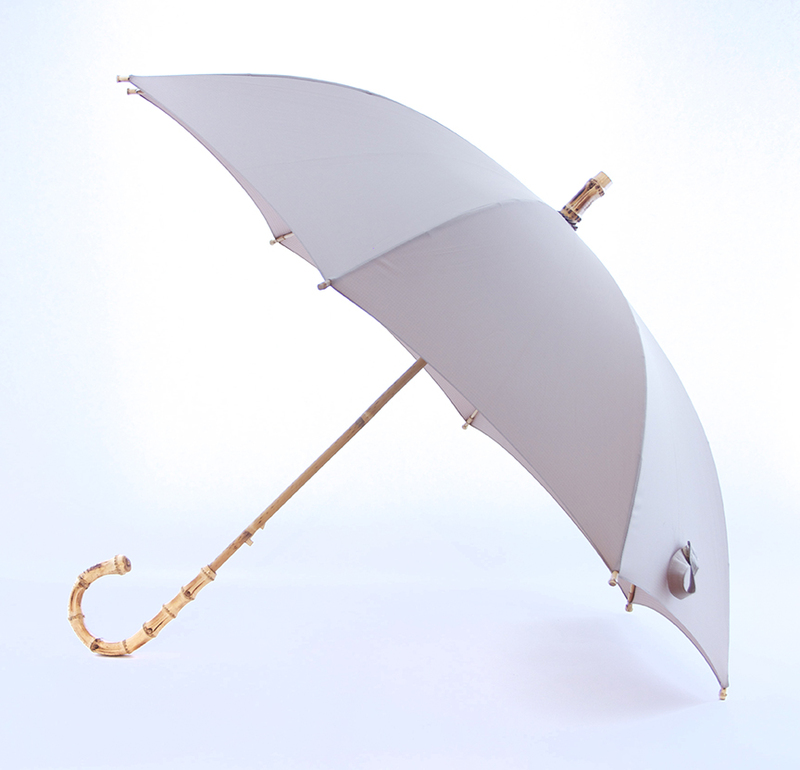 If you wish to make a custom shaped handle, we start with 3D printing, which we use to refine the shape and dimension of the handle. 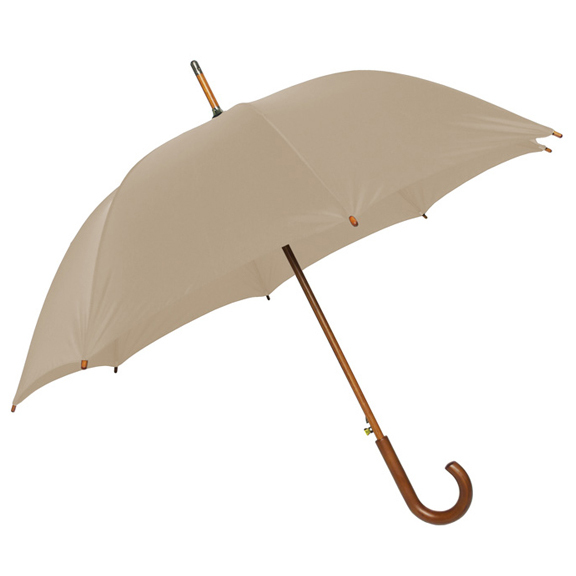 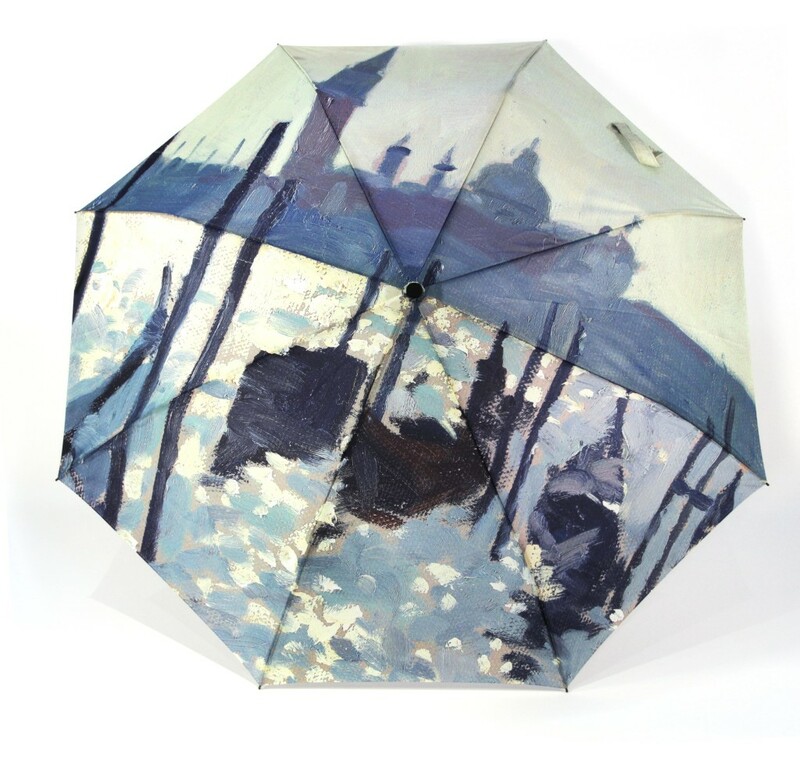 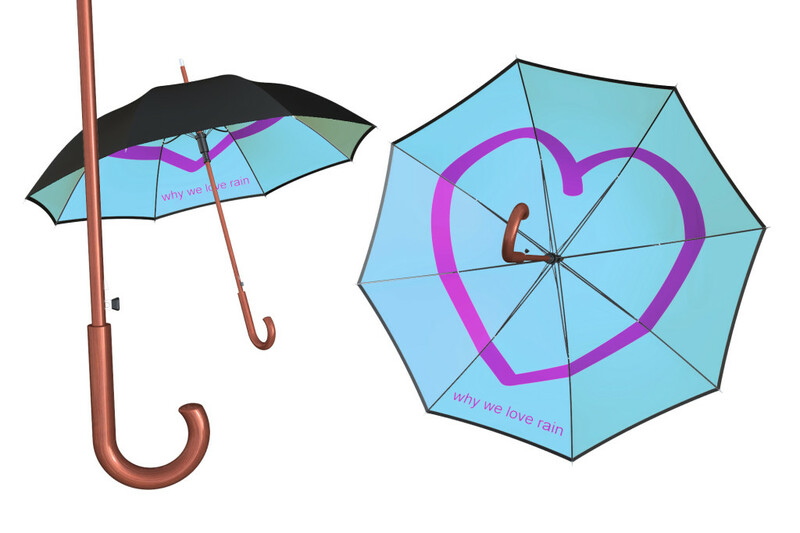 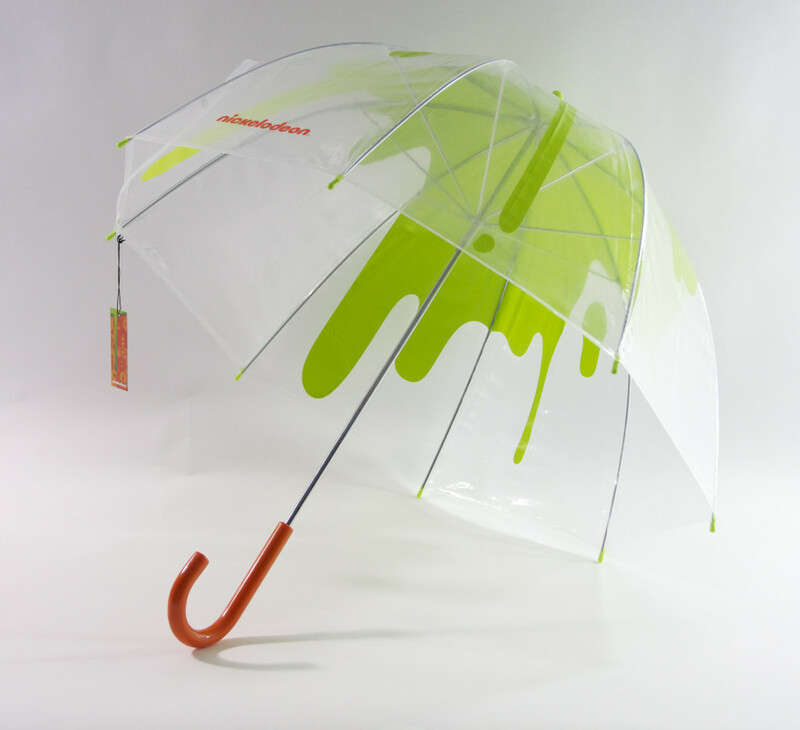 Even before production, Gouda offers 3D renderings of your umbrella if you need a preview!